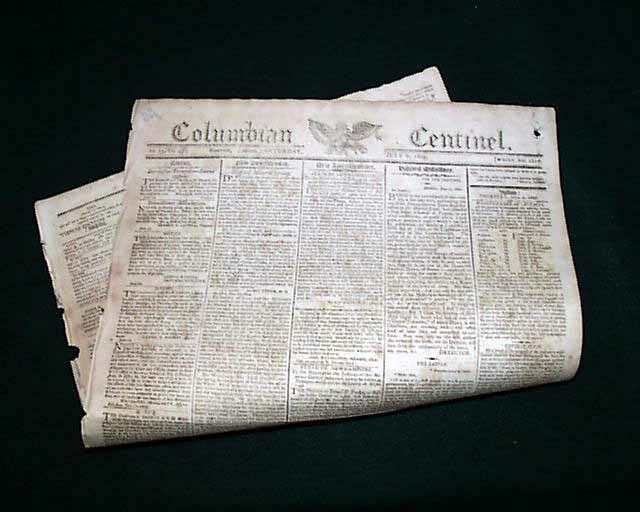 COLUMBIAN CENTINEL, Boston, July 6, 1805 A page 2 report from Natchez, Mississippi, says: On the 13th. inst. Robert Williams, Esq. 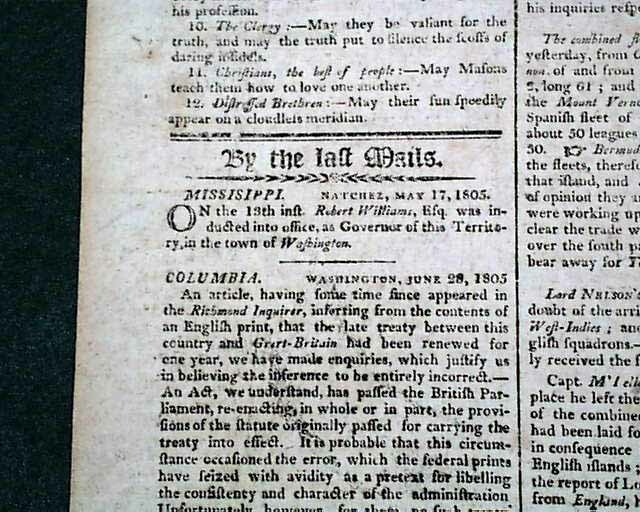 was inducted into the office as Governor of this Territory, in the town of Washington. 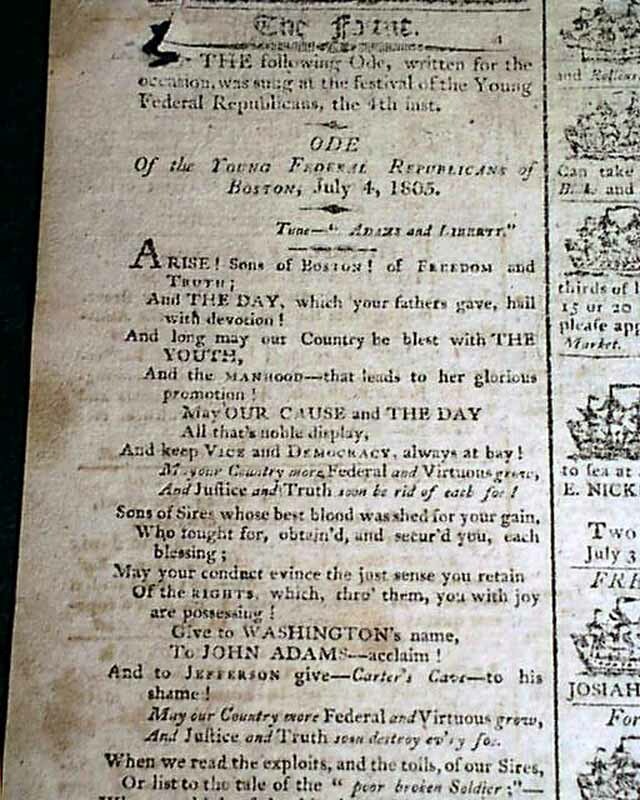 Back page has the Ode Of the Young Federal Republicans of Boston, July 4, 1805. 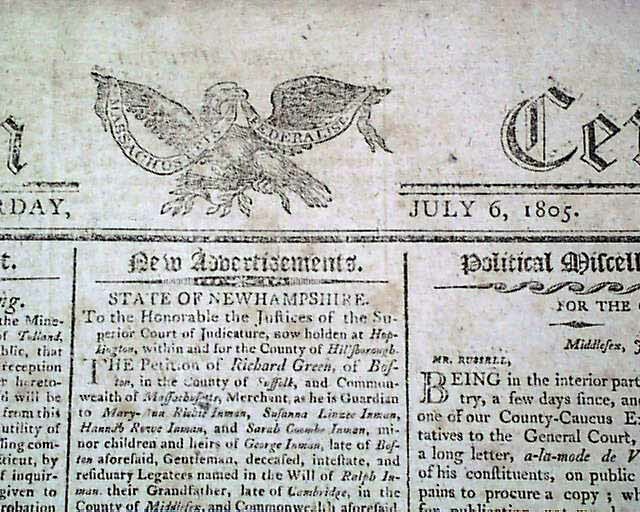 Other news of the day includes: "The Fleets !" "Port Of Boston" "Antigua Taken" and more. 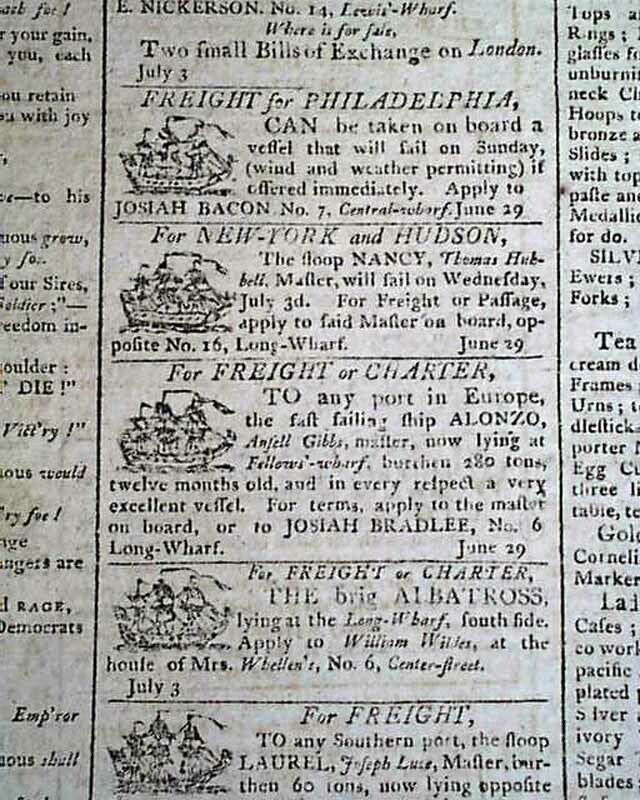 Interesting advertisements as well. Archival mend to a fold tear on the second leaf, otherwise in good condition.